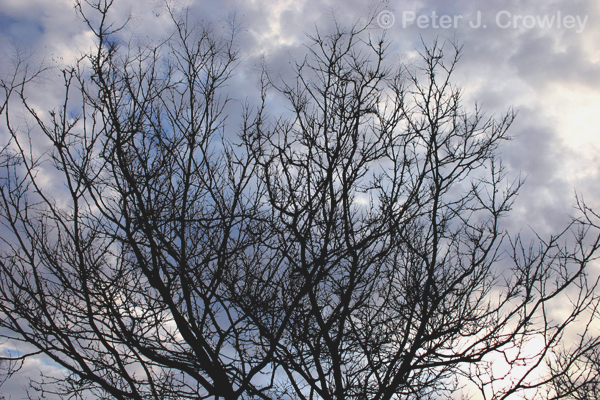 Nice image of a tree crown with a good background of a sky with cloud patterns. You know my passion for the intricate maze of tree branches, Nothing organized, but always reaching, sort of like life my life. Yes, you know how I love tree crowns as a subject. Very nice image with the patterns of the clouds in the background, and the intricate maze and natural pattern of the branches in the crown.